Chris Hemsworth brought in his 35th year with a face full of cake. 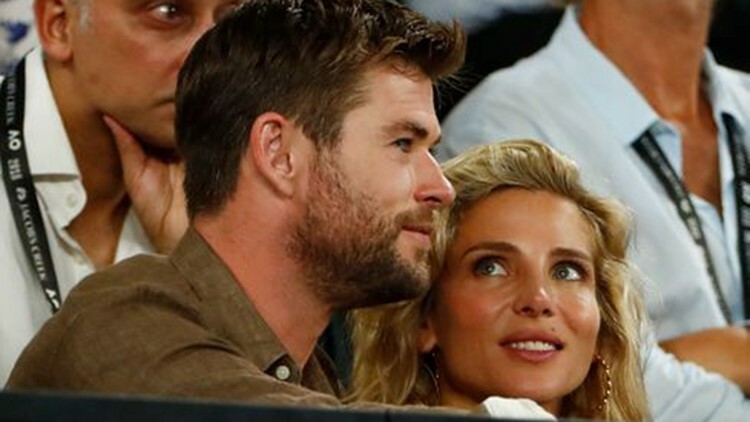 The “Thor” star shared a selfie in front of his birthday cake on Saturday, alongside wife Elsa Pataky. It was just moments before Hemsworth’s face got well-acquainted with his cake — candles and all. “Immediately after this shot was taken my son viciously attacked me from behind (due to his ninja training) and slammed my face into the flaming candles," the actor tweeted. Hemsworth joked that he would have to switch superhero roles after his birthday burns. "I’ll now be playing Deadpool if @VancityReynolds pulls the pin,” he tweeted. Ryan Reynolds, who plays Deadpool, was open to the idea. He replied: "Weird. My daughter JUST stabbed me in the right eye. ... Point is, We can finally trade roles ... (Happy Birthday Bubba!)" Hemsworth referred to his special day as the #BestBirthdayEver. He celebrated with his children, 6-year-old daughter India Rose and 4-year-old twin boys Tristan and Sasha. However, it's not clear which ninja-skilled son pulled the prank on his dad. Apparently, the apple doesn't fall too far from the tree. Pataky wished a happy birthday to her "biggest child." "I love you to death @chrishemsworth .Let’s be kids forever! !," she captioned a picture of the two.